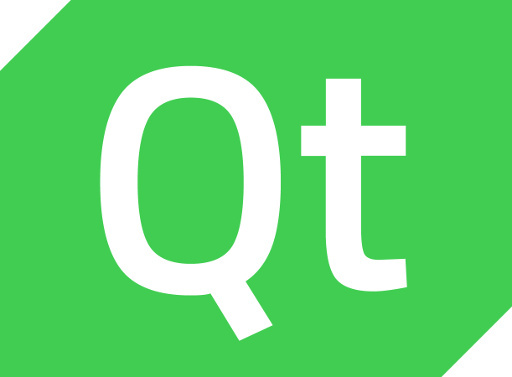 The Qt Company is busy brainstorming changes for Qt 6, which is expected to see its maiden release in late 2020 barring any delays. One of those fundamental changes being tossed around is eliminating the Universal Windows Platform coverage with Qt 6.0. "Open source is everywhere," said Holger Mueller, vice president and principal analyst at Constellation Research. A quick look at the proprietary software vendors of yesteryear drives his point home. Open Source code is not only leveraged by most of them, but they are also large contributors to open source projects. Consider that Cisco, Google, IBM, Microsoft, Pivotal, SAP, SUSE and many others back the Cloud Foundry Foundation. And even though Red Hat is the company everyone points to when they think open source, Microsoft has twice as many employees — 4,550 — who contribute code to open source projects. Amazon, IBM and SAP also land in the top 10. Rep. Jeff Morris told iFixit Repair Radio that national Right to Repair legislation was killed by Microsoft, in a piece of horse trading that saw Microsoft backing funding for STEM education in exchange for Right to Repair (and unrelated privacy rules) dying. In our own conversations about the opposition to Right to Repair in Olympia, Microsoft’s full-throated opposition was often brought up by legislators, and it was to clear to us that the company was lobbying extensively against the bill, and was the most high-profile opponent. According to MSPowerUser, Jeff Morris, a Democrat member of the House of Representatives, has been using its influence to block a bill which, on the face of it, has support across the house and a whopping 87 per cent support amongst US citizens. He claims that, according to his sources, Microsoft had offered to support a tax which would be used to fund STEM education, but only if the Right To Repair bill was quietly dropped. A second stipulation surrounding privacy policies was also on the table. As a device OEM Microsoft has an interest in preventing customers from repairing their own devices, complicating their support and potentially reducing the need to buy a new device. 87% of consumers however support Right to Repair and flexing their muscle in such an anti-consumer manner is extremely anti-democratic, especially when Microsoft paints themselves as socially responsible. Finally stopped using Internet Explorer? Good! But, now it’s time to completely delete it from your computer, too. Security researcher John Page has discovered a new security flaw that allows hackers to steal Windows users’ data thanks to Internet Explorer. The craziest part: Windows users don’t ever even have to open the now-obsolete web browser for malicious actors to use the exploit. It just needs to exist on their computer. Ultimately, claims the EDPS, the various institutions of the EU rely on Microsoft to conduct processing of large amounts of personal data. It wants to examine the nature of the contracts between the institutions and Microsoft to asses which software and services are being used, and whether the contractual arrangements are fully compliant with data protection rules. British telecom giant BT (acronym redundant, we're told) has been left with high-rise blushes after the BT Tower in London spent most of the weekend showing an error message. As leaders in embedded computing technologies for space applications, Aitech and Embedded Flight Systems, Inc. (EFSI) have partnered to integrate NASA’s cFS (core Flight System) into Aitech’s modular, powerful and flexible SP0-S space SBC. One of the most frustrating things for Windows users that switch to Linux is learning to install software. With Microsoft's operating system, you search the web for the software you want, download it, and install it. 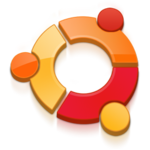 With Linux-based operating systems, however, programs are typically installed through a centralized app center or through the terminal. The Linux approach is arguably safer, as Windows users can easily be tricked into downloading malware. Windows 10 tries to emulate the centralized software center with the Microsoft Store, but users have largely rejected it. I’ve been predicting for a while that Microsoft is moving us away from its PC-centric Windows operating system to a cloud-based rental version of Windows. Now, with the Windows Virtual Desktop beta finally showing up, we’re a step closer to the death of the PC. I’m old enough to remember how the PC changed everything. Before it, computer users depended on time-sharing systems and dumb terminals, and the companies or schools that owned the centralized computing power called all the shots. After it, we all had our own computing power right on our desks, to do with as we pleased. The arrival of the beta Windows Virtual Desktop is a harbinger of the end of the PC era. We’re about to take a big step back to the centralised/controlled past. And maybe that’s OK for most people. I’ve noticed that, even as our lives become ever more centred around technology, fewer people actually are interested in the technology itself. Oh, they love using it, but understanding it at a deep level? Not so much. Of course, at one time, to get any work done with a computer, you first had to learn a lot, about computers, operating systems, commands and more. Eventually, “friendly” became the most important adverb in computing circles, and we’ve reached the point in user-friendliness that people don’t even talk about it anymore. Today, Google has shown with its Chrome OS that most of us can pretty much do anything we need to do on a computer with just a web browser. Microsoft has a DRM-locked ebook store that isn't making enough money, so they're shutting it down and taking away every book that every one of its customers acquired effective July 1. Previously purchased books and rentals will be accessible until early July, but after this, books will no longer be accessible, officials said in a customer-support article today. The company is promising full refunds for all content purchased from the Books category; anyone who bought books via the Store will receive further details on how to get refunds via email from Microsoft. If you have been using the Microsoft Store as your point of purchase for ebooks, you're going to have to start shopping elsewhere. Microsoft has ditched the Books category from the store, and this means that not only will it not be possible to buy books from the Microsoft Store, but also that previous purchases will not be accessible after July.